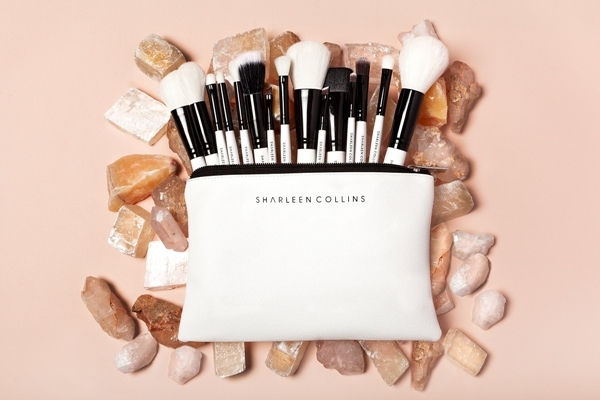 Win a Sharleen Collins 15-Piece Luxury Brush Collection | SHEmazing! Trying to find that perfect set of make-up brushes which will last you all year round? It’s no easy task, brushes are one of the most important aspects of your beauty arsenal. Celebrity MUA Sharleen Collins couldn’t find the right brushes, so naturally she decided it was time to make her own. We love a gal who takes matters into her own hands, and she has made a stunning 15-brush luxury collection. Lucky for you, we’re giving away a set each to THREE lucky winners. Her show-stopping collection includes the Lip Brush, The Stippling Foundation Brush, Angled Liner Brush, Pencil/Bullet Brush, Concealer Brush, Flat Eyeshadow Brush, Powder Brush, Blusher Brush, Eyeshadow Blending Brush, Large Eyeshadow Blending Brush, Angled Contour Brush, Brow Brush & Spoolie, Kabuki Brush, Flat Eyeshadow Brush and the Powder Contour Brush. The luxury brushes are an essential purchase for your beauty collection and the perfect gift ahead of the festive season, plus the full set comes in a gorgeous white leather bag. To be in with a chance, simply pop your details in the form below.